Although her contemporaries regarded her as a social realist, Ann Jellicoe was always quick to refuse that description of plays that dealt forthrightly with contemporary issues and changing mores as the cult of the young replaced the inherited primacy of age in the 1960s. She thought of herself, instead, as an “experimentalist” and insisted “the living theatre is a changing theatre and must present the audience with a constant challenge”. It was a sentiment that informed her work as a groundbreaking and virtually lone female voice in the generation dominated by “angry young men” who transformed British theatre in the late 1950s and early 1960s and, much later, in her pioneering championing of community theatre in her adopted Dorset in the 1980s. Born in Middlesbrough, she determined to be an actor at the age of four and trained at the Central School of Speech and Drama, graduating in 1947 with the Elsie Fogerty prize for “best all-round performance, including movement and diction”. After spells in regional and London theatre in various roles, she produced an investigation into the relationship between acting and theatre architecture. The paper led to her founding London’s Cockpit Theatre Club. At the Cockpit, she directed August Strindberg’s Miss Julie (1952), The Comedy of Errors and John Whiting’s Saint’s Day (1953) and, in 1954, Henrik Ibsen’s Rosmersholm, in a production noted by The Stage for its “smouldering intensity”, in which she also played Rebecca West. The previous year she had returned to Central to teach acting, remaining in the post for three years, during which time she began to write in earnest. Her first full-length play, The Sport of My Mad Mother – an anarchic study of often violent life among urban teenagers – won third prize in the Observer newspaper’s competition (overseen by Kenneth Tynan) for new playwrights and was staged at the Royal Court Theatre in London in 1958. From the start, Jellicoe’s voice was a provocation to the established order. The Stage’s venerable RB Marriott was one of many to struggle with her work, declaring 1961’s breakthrough play The Knack “a good deal worse” than her Observer prize-winner. In between, she showed herself an acute translator of Ibsen; her version of Rosmersholm was staged at the Royal Court, London in 1959 with Eric Porter and Peggy Ashcroft, while The Lady from the Sea, with Margaret Leighton and Vanessa Redgrave and directed by Glen Byam Shaw, was at the Queen’s Theatre, London, in 1961. But it was The Knack that made Jellicoe a headline-name (and a star of Rita Tushingham) at the Arts Theatre, Cambridge, the same year before coming into the Court, co-directed with Keith Johnstone, in 1962. An Off-Broadway staging by Mike Nichols ran for 685 performances and Richard Lester’s zesty 1965 screen version (again with Tushingham) won the Palme d’Or at the Cannes Film Festival. That same year saw her self-directed documentary portrait of the poet Shelley (with Ronald Pickup as the eponymous writer) at the Court, the first production in the inaugural season by the theatre’s then newly appointed boss, William Gaskill. In 1964, she had reunited with Ashcroft and Redgrave for her translation of Chekhov’s The Seagull, in a production directed by Tony Richardson at the Queen’s Theatre, London. At the decade’s end, she was back in the West End with Tushingham in the Richard Eyre-directed comedy The Giveaway at the Garrick Theatre, a damp squib at the box office ahead of its time about the effect on a suburban family of winning a decade’s worth of breakfast cereal. That hint of a new focus had already been heralded by The Rising Generation, a zeitgeist celebration of nascent militant feminism and love (commissioned but subsequently rejected by the Girl Guides Association) with a cast of more than 150 teenagers at the Royal Court in 1967 and declared by The Stage a “masterpiece”. Jellicoe served as literary manager for the English Stage Company from 1973 to 1974 and ventured into opera with a version of Weber’s Der Freischutz in 1974. 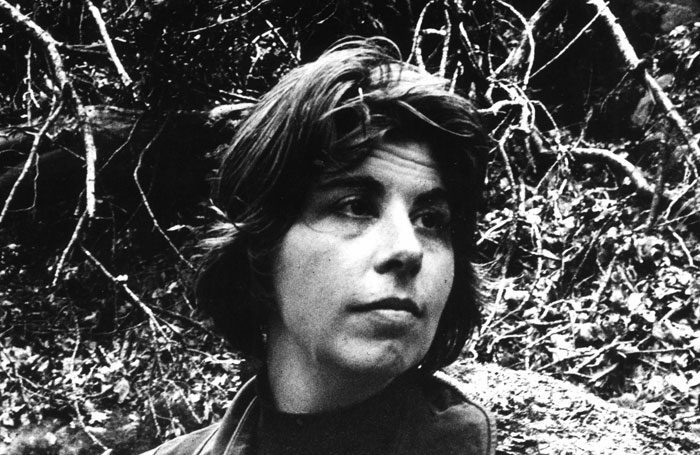 She also wrote for young audiences, with two offerings of “Jelliplays” (directed by herself, as was Paul Bailey’s A Worthy Guest), but her career took an unexpected change of direction with the first of her community plays, The Reckoning, in 1979. In the following decade, she pioneered the form with the Colway Theatre Trust (now Claque Theatre), championing large-scale community plays as both playwright and director. Leading figures she commissioned to write plays based on local stories and performed by large casts of local people included Howard Barker, Fay Weldon, Charles Wood and David Edgar. Edgar’s Entertaining Strangers, first staged in 1985 in Jellicoe’s last year in control of the trust, was also seen at the National Theatre in 1987, with Peter Hall directing a company led by Judi Dench and Tim Pigott-Smith. Her other publications included Community Plays: How to Put Them On (1987) and the Shell Guide to Devon (illustrated by her photographer husband Roger Mayne) in 1975. Patricia Ann Jellicoe was born on July 15, 1927, and died on August 31, aged 90. She is survived by two children from her second marriage, to Mayne, who died in 2014.